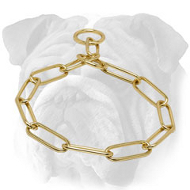 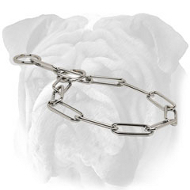 Pinch, chain, martingale collars are presented here. 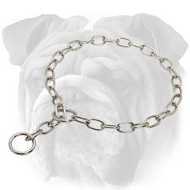 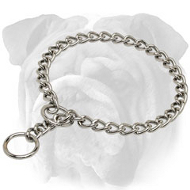 Items are made of chrome plated steel, stainless steel, curogan. 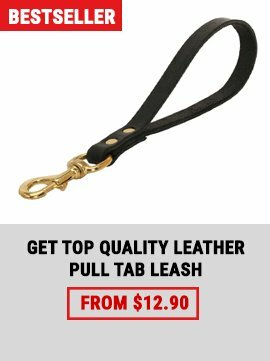 These materials are sturdy and trustworthy. 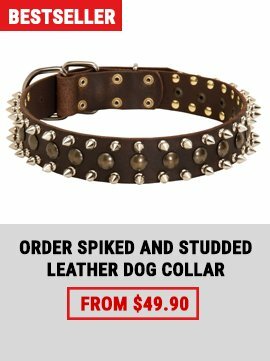 Moreover, collars with leather parts are also in the assortment. 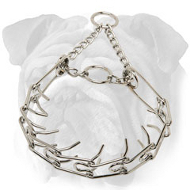 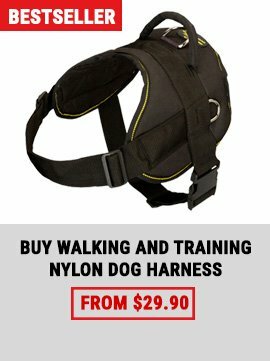 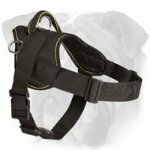 Choose the collar according to your needs and the activity you are going to perform with it. 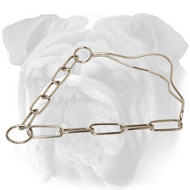 If you intent on correcting behavior of your English Bulldog, one of these tools will be definitely of great help.